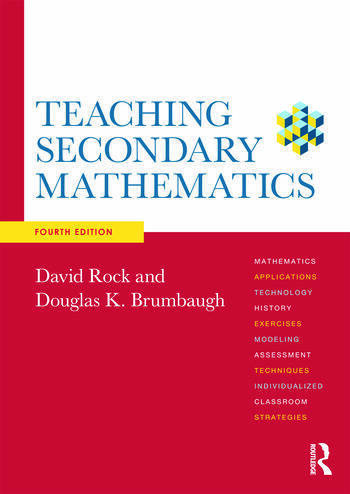 Solidly grounded in up-to-date research, theory and technology,　Teaching Secondary Mathematics　is a practical, student-friendly, and popular text for secondary mathematics methods courses. It provides clear and useful approaches for mathematics teachers, and shows how concepts typically found in a secondary mathematics curriculum can be taught in a positive and encouraging way. The thoroughly revised fourth edition combines this pragmatic approach with truly innovative and integrated technology content throughout. Synthesized content between the book and comprehensive companion website offers expanded discussion of chapter topics, additional examples and technological tips. Each chapter features tried-and-tested pedagogical techniques, problem solving challenges, discussion points, activities, mathematical challenges, and student-life based applications that will encourage students to think and do. Problem solving challenges and sticky questions featured in each chapter to encourage students to think through everyday issues and possible solutions. A companion website with chapter-by-chapter video lessons, teacher tools, problem solving Q&As, helpful links and resources, and embedded graphing calculators. David Rock is Dean of the School of Education at the University of Mississippi, USA. Douglas K. Brumbaugh was Professor of Mathematics Education at the University of Central Florida, USA.